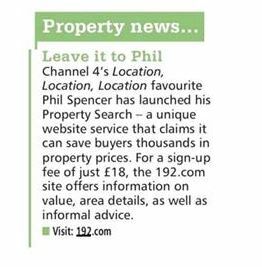 October 9, 2018, filed under In the News; Comments Off on Ask property expert Phil Spencer!. Our Property Report partner Phil Spencer recently took some time out to answer some of the questions that often get asked on Twitter. With more than 25 years of experience in the property sector, Phil Spencer’s tips for buying or renting a house will help you through this notoriously stressful process. Whether you’re buying or renting your first home or a seasoned property professional, Phil shares his property advice, guidance and insights to help you move home with confidence. If you are looking at moving home and for more advice and updates from Phil visit our partners at MoveiQ. Would you like a chance to win a Google Home Mini? Take our short survey about buying property and the property market in the UK. It’s just 12 questions long and will help us better understand what you think about buying property in the UK. 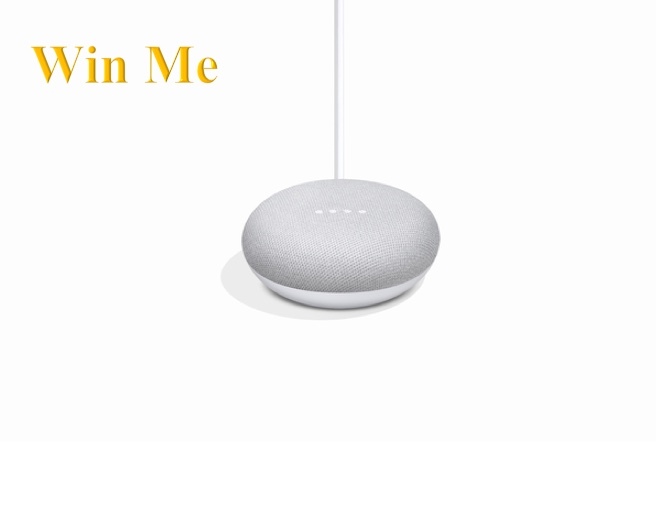 You will remain anonymous, unless you wish to enter our prize draw to win one ‘Google Home Mini’ at which point we will need an email address to contact you on if you’re the winner. Please note: One entry per person, competition closes July 8, 2018. *Terms and Conditions Apply, please see survey for more details. Every year, scams and frauds cost people in the UK up to £10bn, not to mention the severe emotional and psychological impact this has on it’s victims. Scams Awareness Month is taking place throughout this June to help highlight how to stay safe and avoid being tricked by fraudsters. Our Background report is a key tool in the fight against fraudsters, helping you get all the information on who you’re dealing with, enabling you to make an informed choices. Making a large purchase from someone, like buying a second hand car. Welcoming someone into your home like a tradesman, babysitter, or housesitter. Going into business with someone. Meeting someone who you’ve been chatting with online for the very first time. 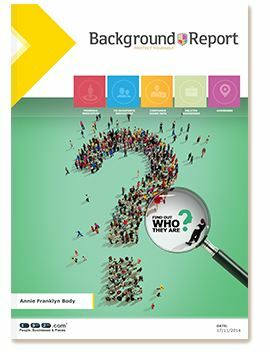 Our Background Report gives you a better understanding about a person. It can answer questions you haven’t thought to ask, or confirm details you’ve already been given. Have a look at a sample report to see the extensive information included in the report. 192.com is featured in this weeks Yours Magazine. We’re always happy to be featured in the news and we are especially happy when that feature comes in the form of some excellent consumer advice. 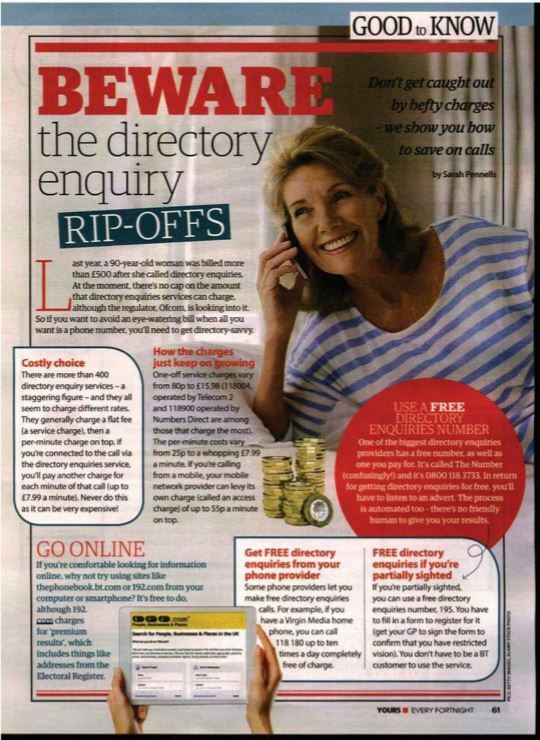 This weeks Your Magazine has a large feature on how to save money on directory enquiries, the article highlights that you can get the same information you get via a 118 number on 192.com online for free. There are many reasons you could want to find an address or phone number online, you might be planning a wedding and have lost contact with someone you really want there, or have lost contact with a group of old work colleagues you’d like to reconnect with. Perhaps you served in the military and want to track down old friends, or you are planning a school reunion it is likely you will be looking for their contact details. 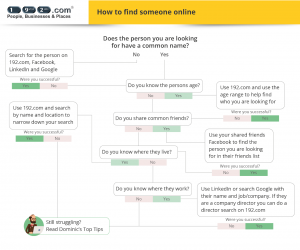 Age, location, family and friends all these things can make it easier for you to find someone online. When searching for a name with Google try using ‘image search’, you will be able to narrow down information on the person you are looking for, as long as you know what they look like. What if they have married and changed name? Try using 192.com’s married registry tool in order to find people who may have married and changed their name. Facebook will help you find friends of friends and social butterflies, LinkedIn will help you find business focused people, and 192.com will provide you with addresses and phone numbers of the person you are looking for. It may be tempting to just do a search on social media, however up to 80% of over 60’s don’t have a social media profile and social media doesn’t always have the information that you are looking for. 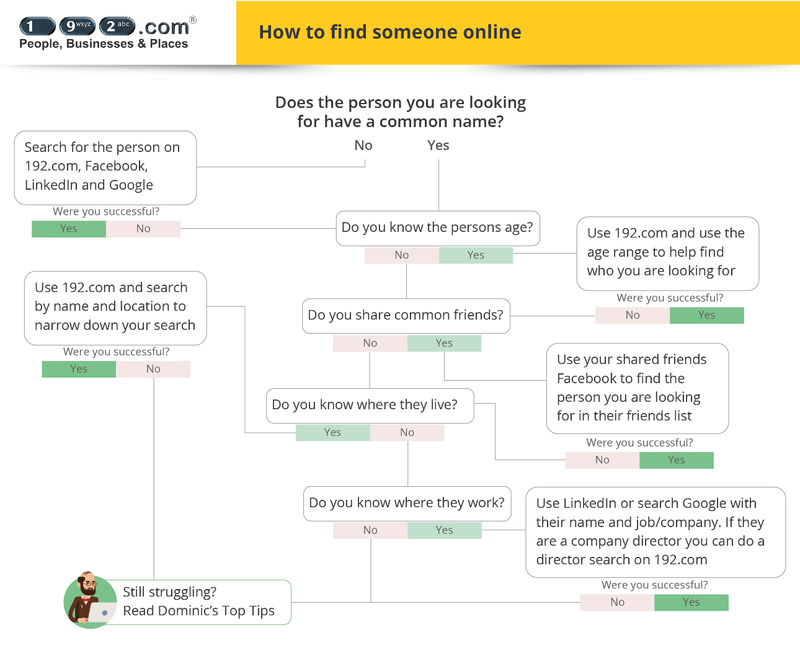 If you don’t find the person you’re looking for stay positive, keep coming back as people are joining social media every day and 192.com’s data is regularly updated, just because you don’t find them today doesn’t mean you won’t find them in the future. If you can’t find the exact person you are looking for try searching for a close relative or partners name if you know it you might be able to find someone else who lives in the same home. Millions of people use 192.com every month for searching for contact details and are used by professionals to find people and verify identities; they are featured frequently on television shows such as Cowboy Builders and Heir Hunters. 192.com is also used by charities and professional people tracers. School’s out: Our new data reveals the 10 hardest primary schools to get into in London! April 26, 2018, filed under New Products; Comments Off on School’s out: Our new data reveals the 10 hardest primary schools to get into in London!. 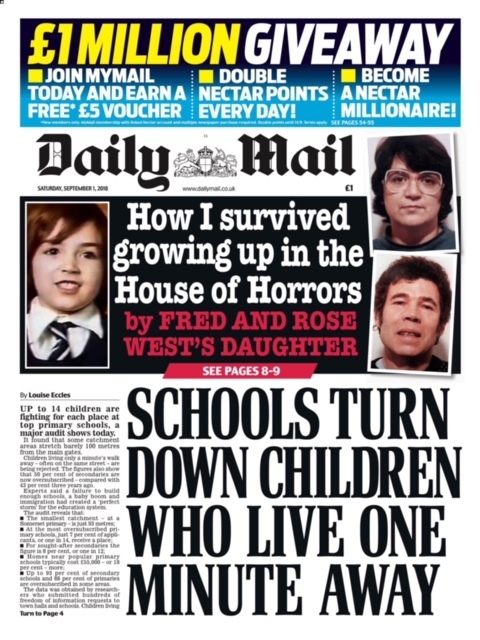 “In a week when 100,000 families found out where their children would start their education, Homes & Property can reveal the smallest admissions boundary in London is now down to just 200 metres, or 0.11 miles. It means parents need to live no more than a few streets from a school to stand a chance of finding a place there for their child. Brand New Channel 4 Documentary! April 19, 2018, filed under New Products; Comments Off on Brand New Channel 4 Documentary!. Are you aged 17+ and lost touch with your mum, dad or sibling? Have you seen them on social media or know where to find them? Are you ready to make contact, but need help reaching out? 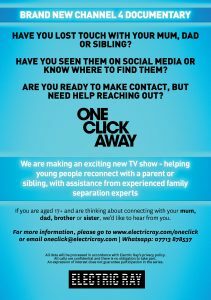 192.com is helping TV production company Electric Ray find and re-unite people for its new Channel 4 TV Show. In today’s world, it’s never been easier to connect with people quickly. 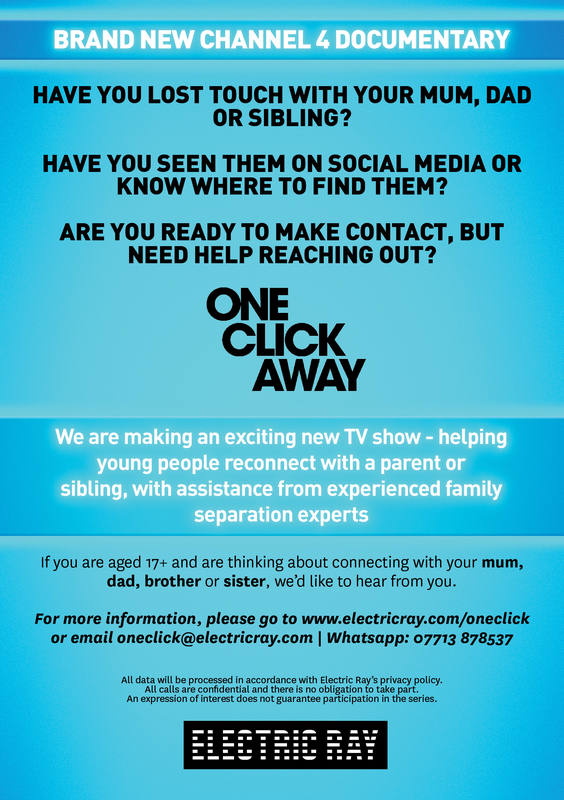 In ‘One Click Away’ we follow young people as they use social media and mobile technology to contact a family member they’ve never met or not seen for a long time. Whilst the simplicity of connecting online might appeal, knowing how to navigate what happens next can be difficult, without additional support. This programme will bring two family members together for four days, whilst they get to know each other (again), under the guidance and experience of independent reunification specialists. Whilst not every attempt will be successful, these experts are highly experienced in helping families to reunite, and the hope is that positive and lasting relationships will be forged. Your application will be treated in confidence and there is no obligation to take part. If you are under 18, please ask a parent/guardian to call or email on your behalf. Applications close 30 April 2018.